ng-conf 2016 in Salt Lake City brought a lot of incredible announcements. Approximately 1,500 Angular developers on site and even more all over the world tuned in to see some great talks. Just like last year, let's recap the announcements and takeaways from this year's ng-conf. So you’ve got an AngularJS UI built out, but you’ll need a fleshed-out backend before being able to really take it for a test drive, right? Actually, it turns out, with the magic of Angular and its mocked $httpBackend, we don’t need no stinking backend! Angular 2 is coming fast! Are you ready? 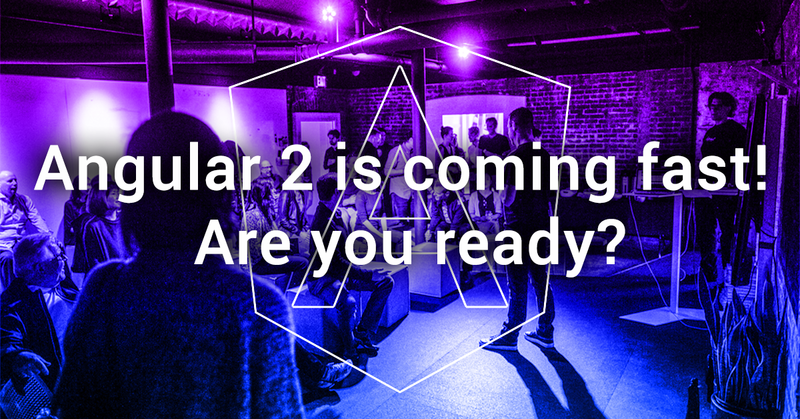 Spend two full days at a mansion immersed in Angular 2 with two of the leading masters. Click here for more details and instructions on how to grab your ticket. Warning! Bonus content ahead. Over the last few months, I've be doing a lot of work with ngModel and Angular 2. To be honest, I probably won't use custom ngModel components all that much in production. But, it's been such an epic journey that I feel somewhat compelled to continue noodling on it. Implementing ngModel - which is really implementing a "value accessor" - requires a non-trivial amount of effort. But, I see a pattern in the noise. And, I think 95% of that effort can be factored out into a reusable abstract base class. Software better suits a client when the developer has a solid understanding of how a user will interact with the product. The tools made available by Segment provide powerful web UIs and simple yet sophisticated integration APIs that allow for powerful user analytics via the management of other vendors’ app analytics platforms. The challenge of leveraging Segment’s API on an Angular 1.x project presents an opportunity to dig into some of the really powerful, time-saving aspects of the Angular framework.